Hello! I am back with some more Born Pretty Store items to review. 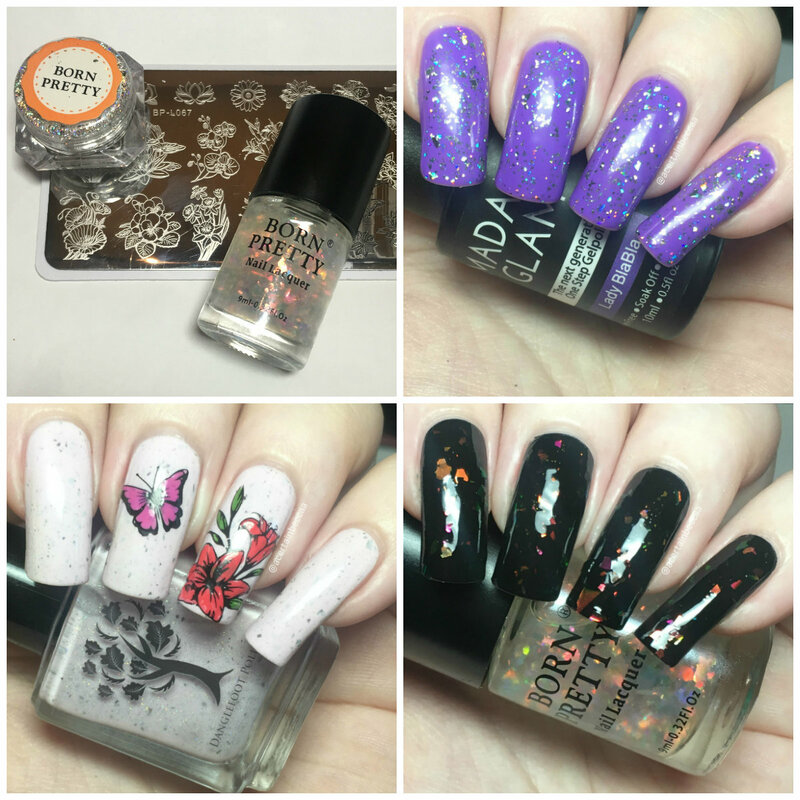 If you missed my last review in June, you can find that post here. 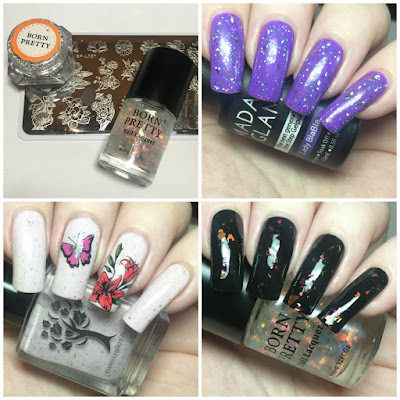 This time I was sent several different items including a holographic flake powder, a stamping plate and a flakie polish, all of which I have to show you today. Read on for more info! First up is a holographic flake powder (item #39677, online here). 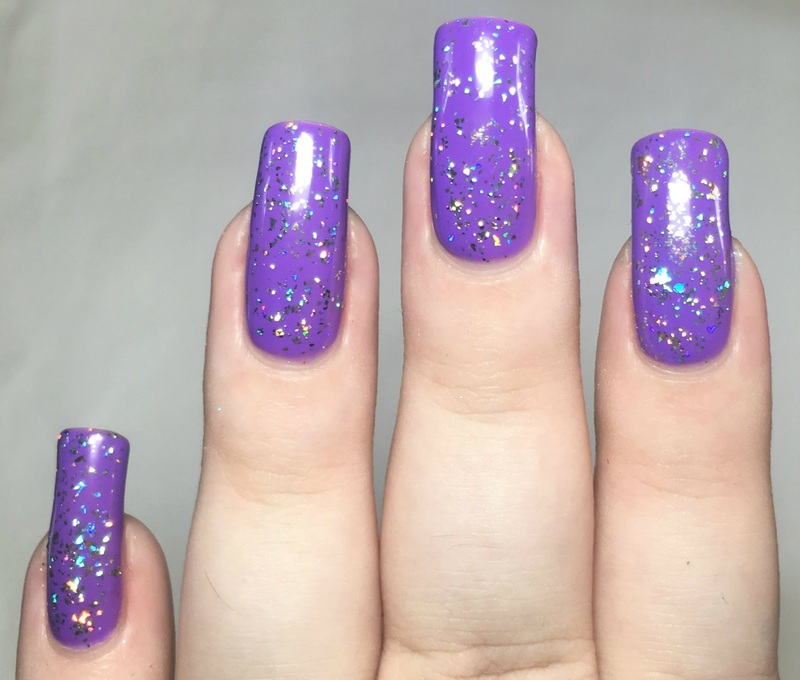 Similar to holographic powders, this is intended to be burnished over gel. 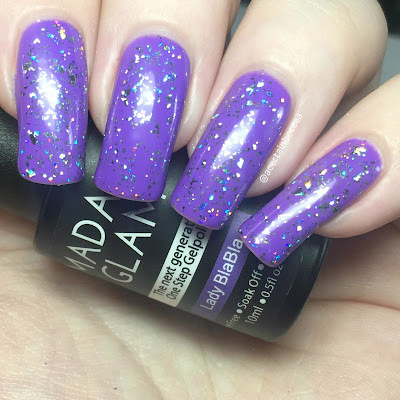 I gently applied this over Madam Glam one step gel 'Lady BlaBla' (swatched here). I found this really easy to use. It spread out without too much effort, and can be built up to whatever coverage you like. 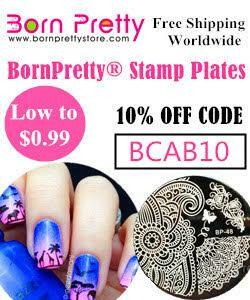 Next is stamping plate BP-L067 (item #39490, online here). This plate is full of flowers that would be perfect for spring or mothers day, or really for all year round. Here's a quick look at the plate itself. To test it out, I did some reverse stamping over a base of Danglefoot Nail Polish 'Yummy Mummy' from the recent Baby Trio (swatched here). 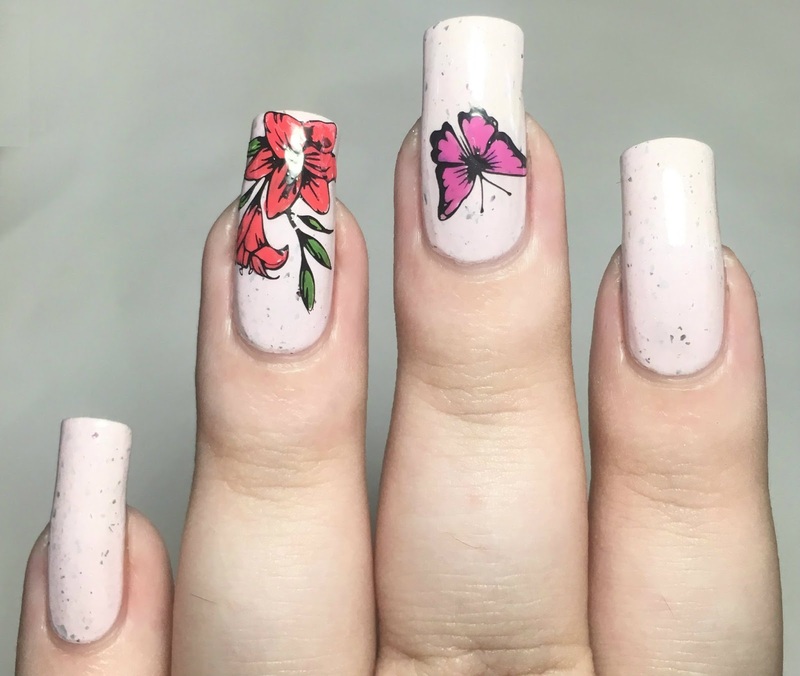 I added flowers to my ring nail using Hit The Bottle 'As Black As Night' and coloured in with OPI 'I'm Sooo Swamped!' and 'Spoken from the Heart'. 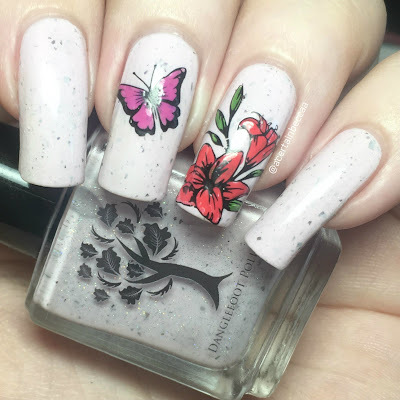 I then added a butterfly to my middle nail using 'As Black As Night' and OPI 'Super Cute in Pink'. Last up is a Chameleon Brocade Series polish (item #40036, online here). I chose 'Roaring Flame', which has flakies that shift through a range of colours - I mainly see pink, orange/copper, and green. This applies really smoothly, and the clear base they are in dries lovely and glossy. 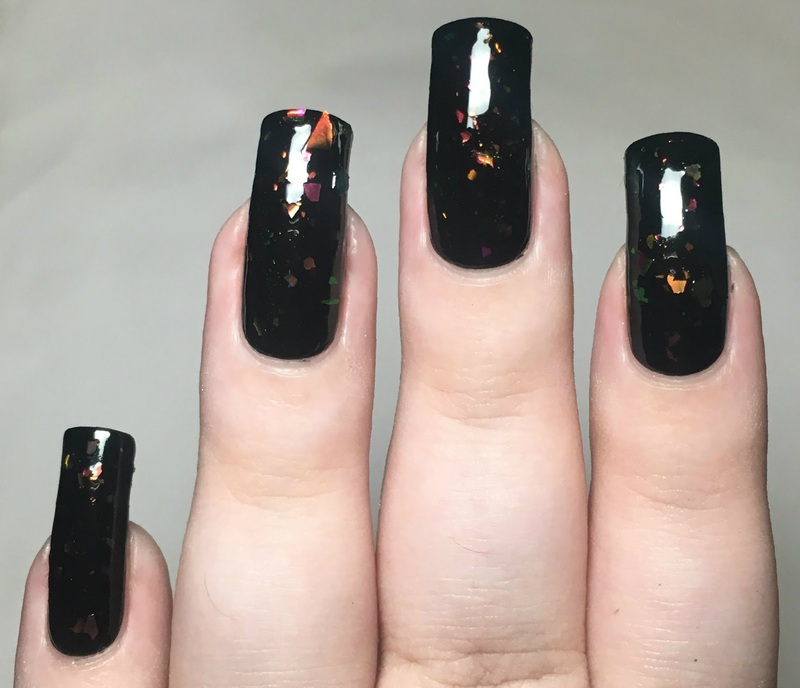 Below is one coat (without topcoat) over black. What do you think? I really enjoyed playing with all three items. I feel like there's something for everyone here. For those still feeling bright and springy there's the plate. 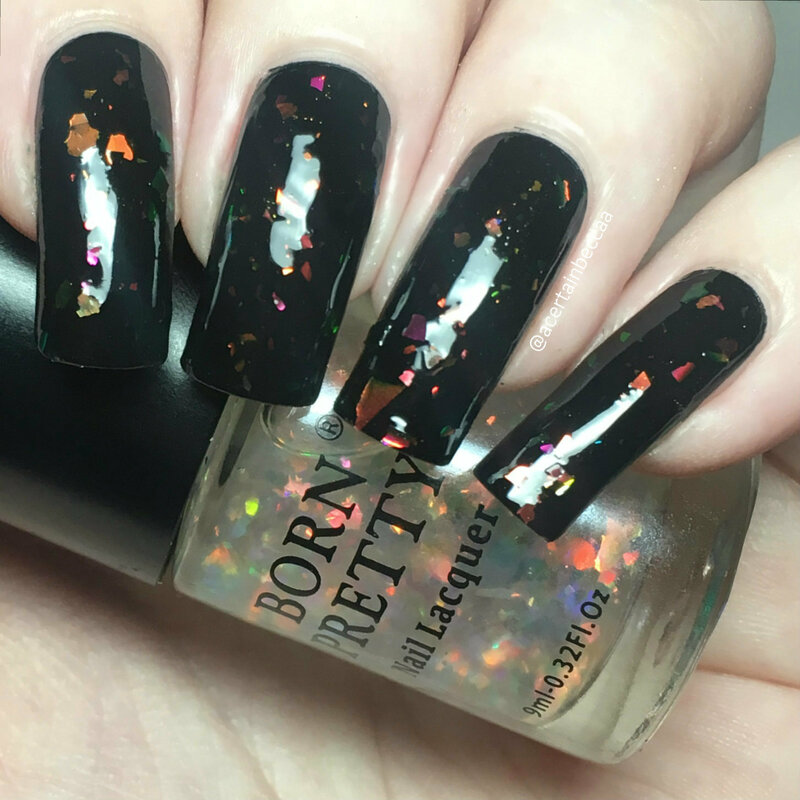 For those moving on to deeper Autumn polishes, the flake topper is perfect. For those that can't decide, you can't go wrong holo flakies! Beautiful! I really love the purple nails, so so pretty!